Public forum hosted by Catholic Social Services Australia and Catholic Social Services Victoria during ‘Review, Reimagine, Renew’, mission conference 2016. 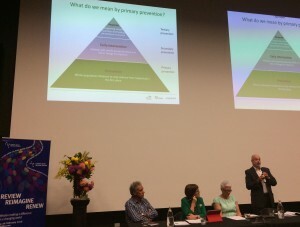 The issue of family violence cannot be relegated to just another social justice issue that we need to pay attention to, Paul Linossier, Chief Executive of Wesley Mission, told church leaders at a public forum addressing family violence on Wednesday 24 February. ‘We are talking about men’s violence against women, physical and sexual violence. We are talking about the litany of controlling behaviours that exclude and denigrate and over time demoralise, abuse and marginalise women. Gathered at the Australian Catholic University, Melbourne, Linossier told the leaders that this is ‘an uncomfortable conversation if it goes far enough because it drives to the heart of our culture, the heart of our social arrangements and our view of the human person’. ‘There is one over riding precondition that allows men’s violence towards women to occur and it is gender inequality. There is a pervading bias towards men. Men represent 60 per cent of the global workforce and they represent 95 per cent of the CEOs in the worlds largest corporations. Women represent only 29 per cent of board members in those organisations and 27 per cent or less of the senior leadership teams in those organisations. There is a global and occupational discrimination, gender-based, agenda happening. 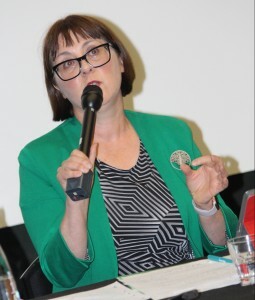 Linossier is a former CEO of Our Watch; an organisation set up to drive change against the culture, behaviours and attitudes that underpin and create violence against women and children. He showed a video, published by Our Watch at the end of 2015, called “Let’s change the story”. The clip focuses on reducing the gendered drivers of violence against women. 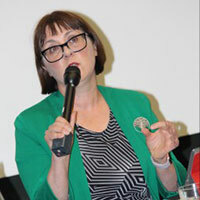 Other supporting actions mentioned by Linossier included, challenging the norms about alcohol use, the normalisation of violence and promoting broader social equality. ‘It’s important to note, the abusers are not strangers but generally an intimate partner. Gender inequality is at the basis of this social epidemic. It includes structural and institutional inequality. It begins with the individual. How I am formed in my beliefs, expectations and understandings about how I should be treated as a woman, a child or a man’, Sr Reid explained. The Good Samaritan Inn provides crisis accommodation for women who are victims of domestic violence. Four years ago, the centre decided to enter the field of prevention against such violence. Commencing the “We can do it”, respectful relationships project, in three high schools over a three-year period, the project brought about change in students from awareness and understanding to a change in behaviours and attitudes about family violence. ‘We worked with the schools to achieve cultural change,’ Sr Reid said. A report and two videos about the “We can do it” project findings will be available as part of the mission conference papers. 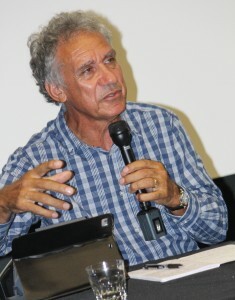 Charlie King OAM, Board member of Our Watch, and ABC Presenter in Darwin, told leaders about a successful project known as, nomore.org.au. King said he initially became aware of the high levels of family violence in remote indigenous communities where women had no where to run to. During 2008, King visited 38 remote communities in the Northern Territory and spoke extensively to the local people about the issue of violence against women, he repeatedly heard the men say ‘no more’ and that ‘all men should link up’. From there, the No More campaign emerged with the symbol of ‘linked arms’. The focus of the campaign is putting the responsibility of reducing family violence on men. ‘There are more than eight million Australians involved in sport every weekend.’ King made the link and sporting clubs were asked to walk out onto the pitch together linking at the elbows to highlight the commitment to ‘no more’ family violence in the Northern Territory. ‘It’s a powerful statement at sporting occasions and sporting clubs are now asked to write their own family violence action plan about how they will work to end family violence in their club.’ King added that a drop in the levels of family violence has been recorded as a result of the campaign. Forum Presenters (l-r): Joce Bignold, Paul Linossier, Patrice Scales, Bishop Long, Donella Johnston, Sr Michelle Reid & Charlie King. Highlighting the Australian of the Year, David Morrison, as an example of change, Ms Johnston said that ‘cultural change must take place in order to tackle violence against women’. 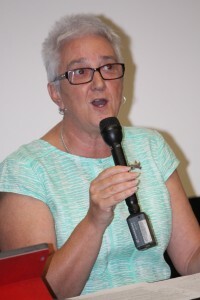 Patrice Scales, Chair of Catholic Social Services Victoria, opened the Forum and Joce Bignold, Chief Executive of McAuley Community Services for Women, chaired the Forum. Following a lively Q&A session, each presenter was asked directly what the Church should do to address the issue of family violence. Both Linossier and King said the style of engagement by men was critical in debate and advocacy about this issue across all sectors. ‘The women in the Church need to be strong in their view and backed by the men in our Church,’ King pointed out. Linossier said that across Wesley Mission he aims to make a difference by changing the style of leadership. Sr Reid suggested that clergy should work towards gender equity across all aspects of parish life. Ms Johnston said, ‘the big thing is education, gender awareness and understanding will help to change stereotypes’. 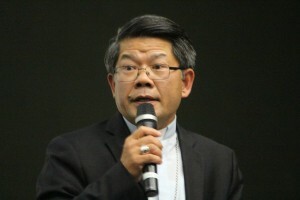 Responding to the Forum presentations and debate, Australian Catholic Bishops Delegate for Social Justice, Bishop Vincent Long OFM Conv said, ‘the Church response to victims of domestic violence is crucial in reaching justice’. ‘The first instinct of Christians must be a genuine compassion for those who are hurt in our communities. The church can support our communities to be safe havens for women and children. 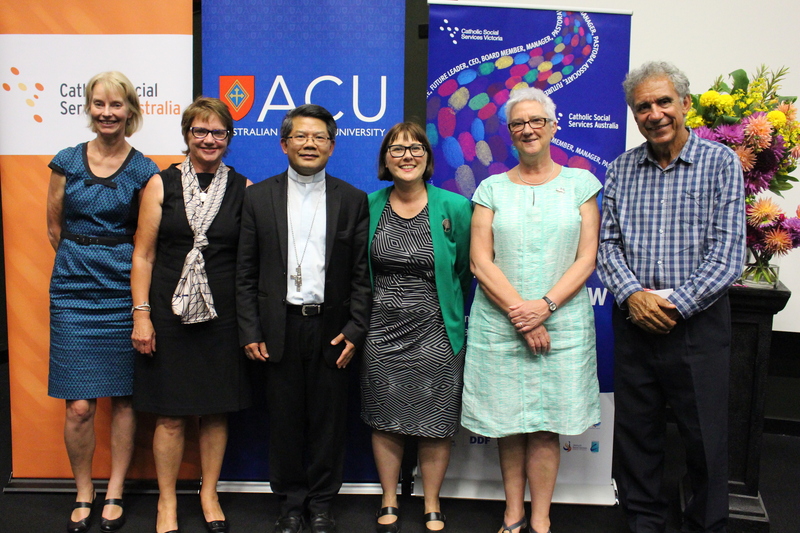 The vision and example of Jesus inspires us as we confront the manifestations and root causes of injustice and family violence and make a difference to the society in which we live today,’ Bishop Long concluded. This entry was posted in Uncategorized on February 24, 2016 by ACBC Communications.